Supporting the local community is something that we have always taken great pride in at The Faculty Club. From our produce to our meats, we strive to find the highest quality products to offer to our members; and our beverages are no exception. We are excited to announce that we are extending our draft options to include many local favorites. Both craft and local beers are a huge trend in the culinary world, and we are very proud to become an even larger supporter for our community. This Friday from 5:00-6:30 we will be hosting one of our 10-for-10 Beer Tastings that will be open for everyone to attend. Some of the beers to be included will be: Columbus Brewing Company IPA, New Belgium Fat Tire, Four String Brewing Company Hibiscus Ale, Elevator Brewing Company Pale Ale, Elevator Brewing Company Bleeding Buckeye, and Johnny Appleseed Cider. Along with our 10-for-10 we will be hosting our special Happy Hour with Friday Night Dinner Service that will include this month’s drink special: $3 Red & White Sangria. For the Dinner Service, we will be offering our summer Bar 181 menu along with a new event, Steak and Burger Night on the Patio. Come sit out on the patio and enjoy the aroma of fresh steaks and hamburgers being grilled right in front of you while enjoying your samples of beer. This will be an event you will not want to miss! 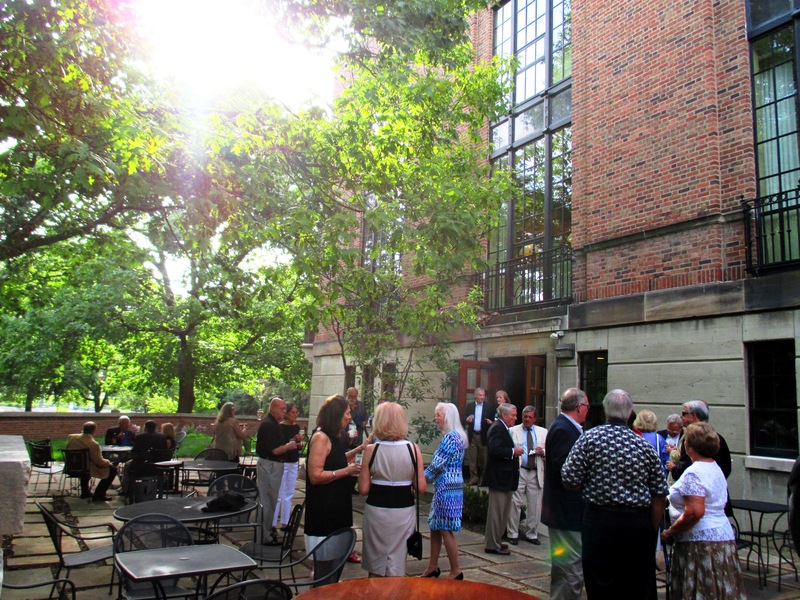 Whether it’s for the beer tasting, happy hour special, dinner at Bar 181, or enjoying a nice steak on the patio, The Faculty Club is the place to be this Friday night. Be sure to call The Club at 614-292-2262 to make your reservations! We can’t wait to see you there! Previous Previous post: Club Spotlight: They Got Married! Next Next post: It’s the Most Wonderful Time of The Year!